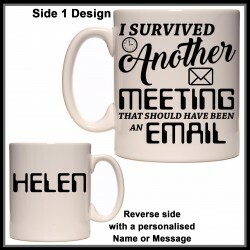 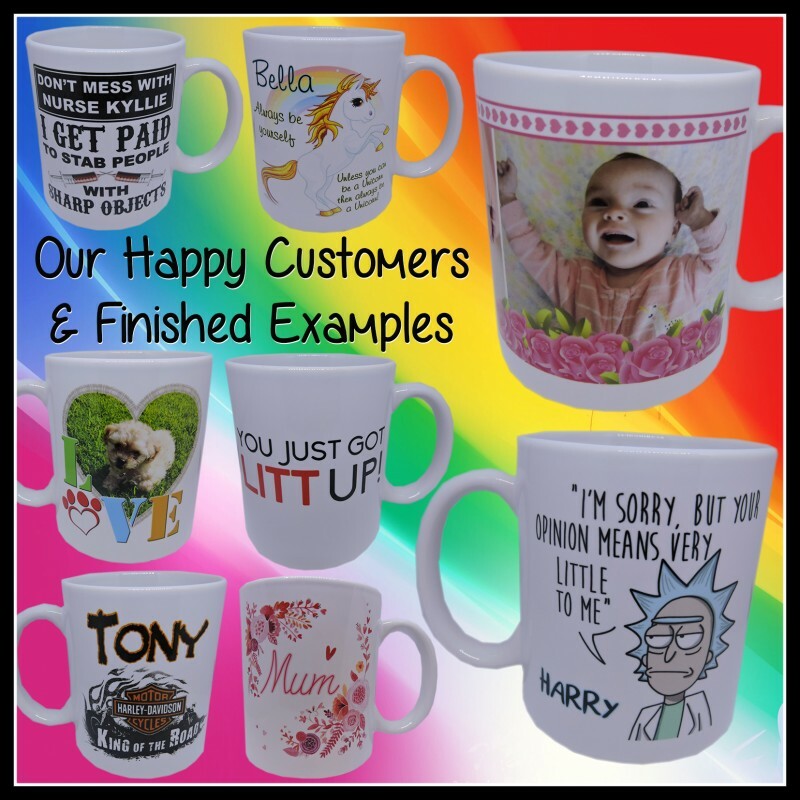 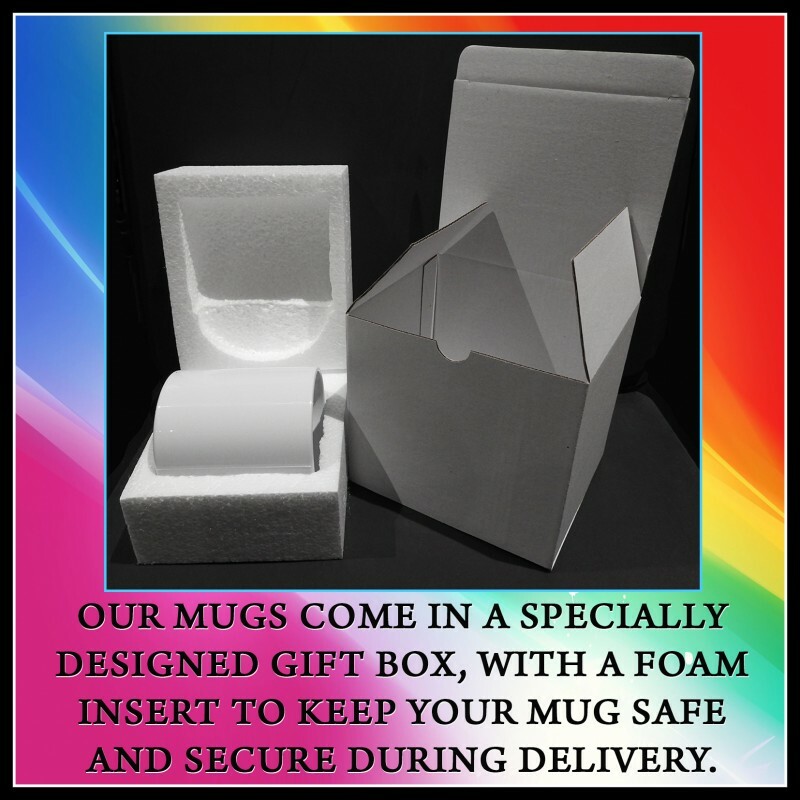 This Ceramic I Survived another Meeting Mug will be a great gift for anyone or yourself. 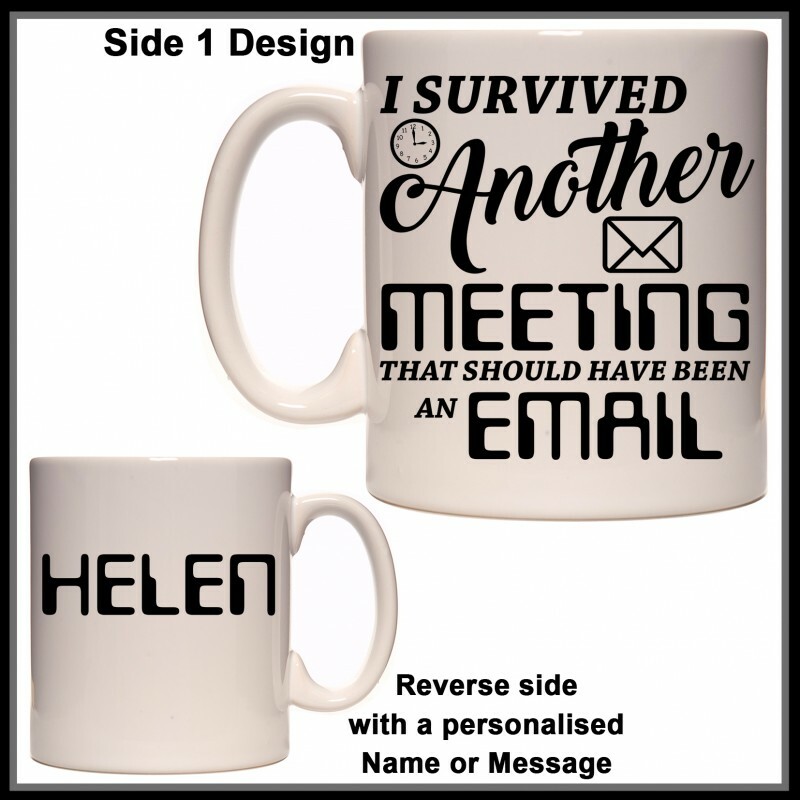 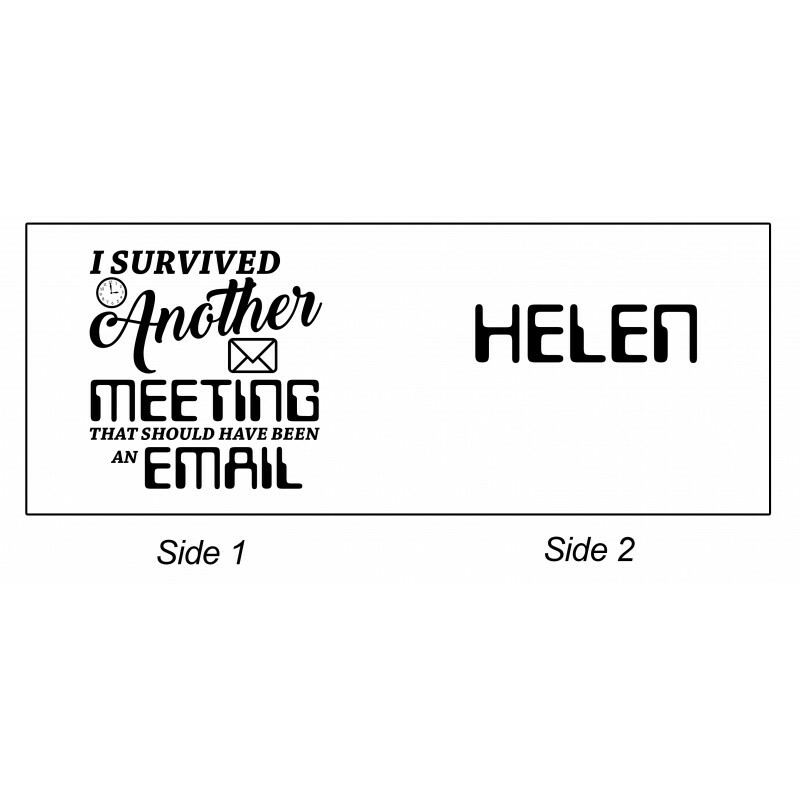 "I Survived another Meeting that should have been and Email"
on one side and a personalised name or short message on the other side. or enter NONE if you would not like text added.